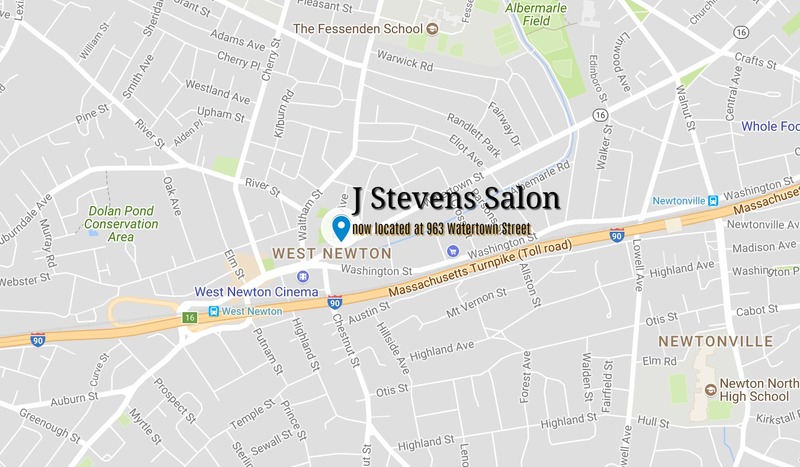 A full service Hair Salon offering a variety of Hair, Nail, and Skin services to the Boston and Metro West communities. Call now to book an appointment: 617.244.5550. We offer a variety of hair, nails and skin services in a warm and inviting environment. Our skilled staff has been providing the Boston and Metro-West communities with professional expertise since 1997. At J. Stevens Salon, we are dedicated to helping you look your best. When you leave our salon looking and feeling great, we have accomplished our mission.